Both Hillary Clinton and Donald Trump will have some regrets after their first presidential debate. But Clinton’s regrets mostly involve things she may wish others did differently — and Trump’s were of his own making. Trump made at least two very obvious factual errors. Clinton has also been second-guessed by fact-checkers — but you didn’t need to do much fact-checking to know Trump was very wrong when he said Clinton has been fighting ISIS her entire adult life. Because ISIS hasn’t existed for her entire adult life. Here’s what Clinton and Trump will regret in the morning. 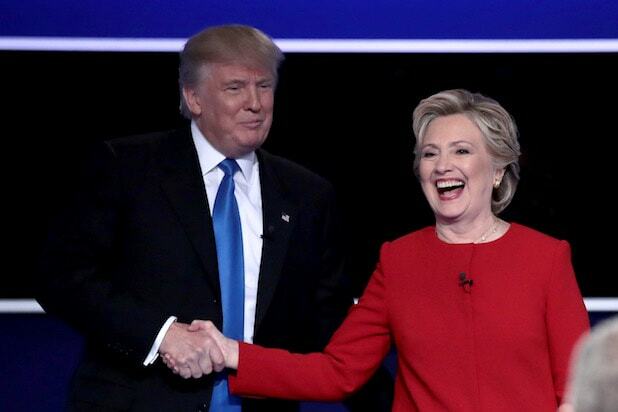 Before the second debate, you can bet that someone on Trump’s team will show him a supercut of all the times he super cut Clinton off. (Twenty-five times in 26 minutes, by this count.) Like when she noted that Trump had talked about how he could benefit financially from the 2008 financial collapse. “That’s called business by the way,” Trump interrupted Clinton. “I did not, I do not say that,” Trump said. That could be interpreted a lot of ways, including as arrogant. Trump’s claim that Clinton has been fighting ISIS her entire adult life was totally wrong. Also: How is that even an insult? While Clinton mostly stayed out of the muck, her cheering section didn’t. Former Democratic National Committee chief — and failed presidential candidate — Howard Dean asked on Twitter if a sniffling Trump might be on cocaine. Taking the level of discourse down to Trump’s level gave Republicans ammunition to argue that Dems are fighting dirty, too. Notice Trump sniffing all the time. Coke user? The New York Times’ Mark Landler noted that Clinton’s insistence that she conditionally backed the Trans-Pacific Partnership — only to revoke that support once final terms were negotiated — was off. By more than 40 public appearances. That’s the number of times Landler said she spoke out in favor of the trade deal without saying that her support depended on its final terms. It isn’t her fault, but Clinton probably wishes that on her big night, the souvenir tickets had spelled her name right. This one isn’t really a gaffe, but it does arguably drop a little rain on Clinton’s parade. Lester Holt scored high marks from many media pundits, but Trump supporters accused him of going after their candidate unfairly. Clinton probably wishes Holt had been so meticulously fair that no one could claim he had his thumb on the scale for her. Make no mistake, she won the debate — but her win might be a tiny bit sweeter if no one was claiming anything was rigged in her favor. Then again: Has there ever been a debate where the losing side didn’t blame the moderator? 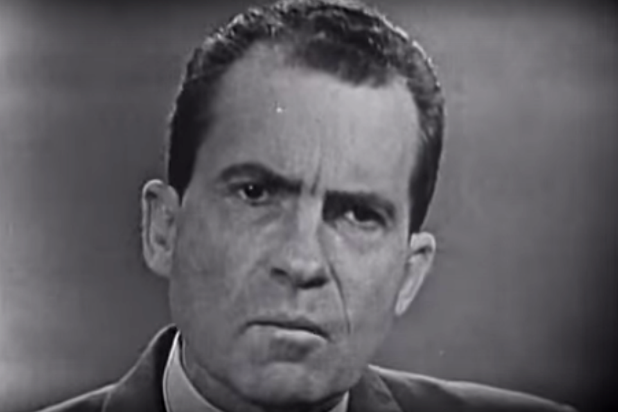 1960: During the first televised presidential debate, Richard Nixon refused to wear stage makeup, revealing his sweaty forehead under the hot TV lights. This made the younger John F. Kennedy look much more confident. 1976: Gerald Ford claimed that he didn't believe that Eastern Europe was under "Soviet domain," which proved to be an unpopular opinion, as the moderator repeated the question in bewilderment. 1980: When the moderator tried to silence Ronald Reagan's microphone during a Republican primary debate, Reagan shouted: "I am paying for this microphone!" The line became a "political home run" for Reagan. It was also borrowed it from the 1948 film "State of the Union." 1980: In a general-election debate between incumbent president Jimmy Carter and Reagan, Carter said, “I had a discussion with my daughter Amy the other day before I came here to ask her what the most important issue was. She said she thought the control of nuclear weaponry.” Carter was mocked for taking policy advice from his 13-year-old daughter, helping Reagan to win the election. 1988: Michael Dukakis may have lost the election when he said he would still oppose the death penalty even if the killer raped and murdered his wife, Kitty. 1988: Vice presidential candidate Dan Quayle compared himself to Jack Kennedy and got hammered by Democratic rival Lloyd Bentsen: "Senator, I served with Jack Kennedy, I knew Jack Kennedy, Jack Kennedy was a friend of mine. Senator, you're no Jack Kennedy." 1992: George H.W. Bush checked his watch and tucked in his shirt during his debate with future president Bill Clinton, looking impatient when asked about the economy. 2000: Al Gore sighed during a debate with George W. Bush, which was widely perceived as condescending. It was so bad, aides made him watch the "SNL" parody of the gaffe before the next debate. 2008: Hillary Clinton attacked Barack Obama for allegedly lifting lines from the speeches of Massachusetts politician Duval Patrick. She had a good zinger... that didn't quite have the effect she was hoping for. "Lifting whole passages from someone else's speeches is not change you can believe in, it's change you can Xerox," Clinton said -- but the audience booed. 2008: When a moderator asked Hillary Clinton if she had the personal appeal to overtake Barack Obama, the future president interjected that Clinton was "likable enough." 2008: While illustrating a point about a Bush/Cheney energy bill that Obama had signed, Arizona Senator John McCain referred to the future president as "that one." 2011: Texas Gov. Rick Perry shifted his reputation from budget-slasher to bungler when he blanked on the names of all three federal agencies he proposed to eliminate as president: "I can’t, the third one. I can’t. Sorry. Oops." 2012: Former Massachusetts Gov. Mitt Romney claimed that Obama didn’t call Benghazi a terrorist attack. Obama confidently asked Candy Crowley to clear up the charge, which she does, pointing out Romney's mistake. 2016: When asked during an interview in September what he would do about Aleppo, the epicenter of the Syrian refugee crisis, Libertarian presidential candidate Gary Johnson asked, "And what is Aleppo?" That line became a viral sensation, even earning some rather funny spoofs. Johnson then made things worse when later that month he couldn't name a single world leader -- dead or alive -- during a town hall with Chris Matthews. And just to be sure this second flub would get some traction, Johnson told Matthews he was having an "Aleppo moment." Talk about about a triple whammy. 2016: Green Party presidential candidate JillS Stein was hoping to be the answer to Bernie Sanders after he dropped out of the primary race. But answer she gave during an AMA reddit sesh put a damper on her plans. Stein, a Harvard Medical School graduate, raised some eyebrows when she took a decidedly anti-vaxxer stance: "As a medical doctor, there was a time where I looked very closely at those issues, and not all those issues were completely resolved. There were concerns among physicians about what the vaccination schedule meant, the toxic substances like mercury which used to be rampant in vaccines. There were real questions that needed to be addressed." Stein later clarified that she was not, in fact, an opponent of vaccines.